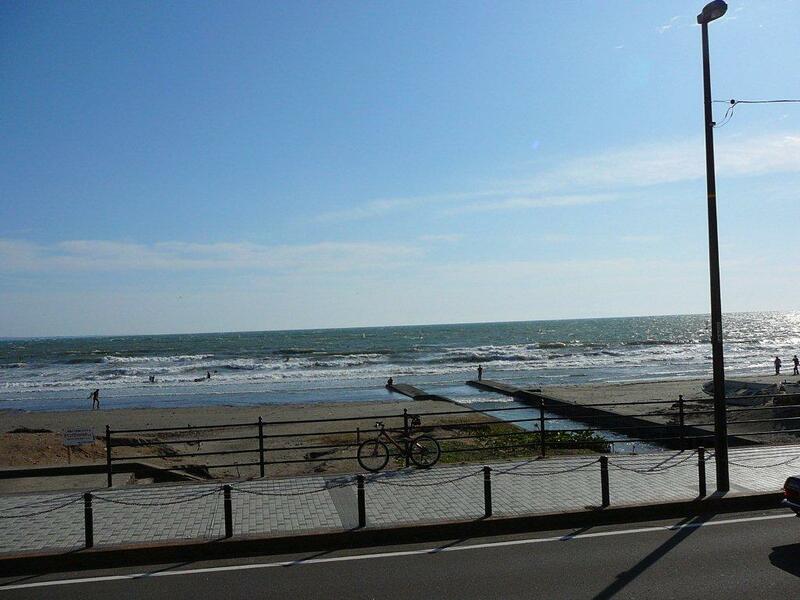 Kamakura in Kanagawa Prefecture is an internationally celebrated tourist post. Unfortunately for all the beauty of the city, its mountains, old buildings, ancient culture and striking sea shore, the great majority of its restaurants and cafes are little more than traps for the crowds of tourists and surfers. 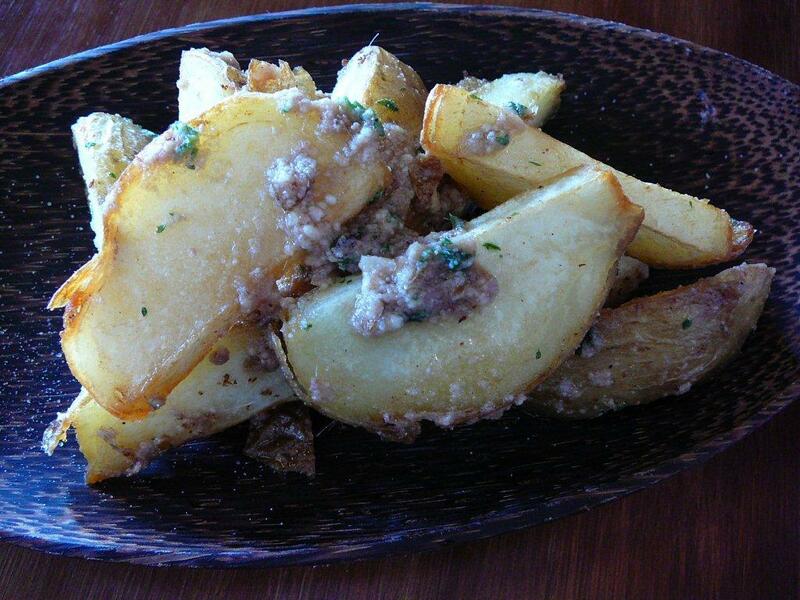 The perfect fried organic potatoes with anchovy and garlic savoury garnish at Magokoro! But some locals belatedly realized that things had to change or else. Heaps of organic food are grown or raised in Kamakura and its neighbourhood. Just add to that the marine produce of the Pacific Ocean and you have the ideal combination to satisfy all tastes and priorities, be they omnivore, vegetarian or even vegan. The same locals formed their own association, The Japan Vegetarian Society, in 1993 to help their fellow citizens and newcomers alike to discover restaurants, cafes and shops in accordance with their favourite food styles. Since then they have grown into a small but extremely active non profit organization not only with their own blog/website but also a semi bilingual free pamphlet with a guide and map to no less than 51 establishments! Call 0467-25-2668 if you cannot find the map. The pamphlet/map is a real little treasure as it features not only restaurants, cafes, confectioneries, fair trade goods shops, grocery stores but even “earth-conscious (ecological) shops”, temples, body-care-shop, bicycle rental shops, hiking courses, temples, cooking schools and tourist information desks! Each establishment is represented with at least one picture with letters indicating whether it serves or sells vegan, vegetarian food. It also clearly explains through the same simple lettering system if the food contains seafood, seafood seasoning, dairy products, eggs or even if it does contain such produce as leek, Chinese chive (nira) Japanese shallot (Rakkyo), onion or garlic! It goes as far as counseling people to double-check in some cases! The whole literally backed up by an easy English/Japanese lexicon for tourists with special gastronomic priorities on the other side of the pamphlet! The same very ecology-conscious association has initiated an unusual association of shops with their own currency: Beach Money and Beach Money Shops! Founded in 2001, it has become the reference to organic (for all tastes!) 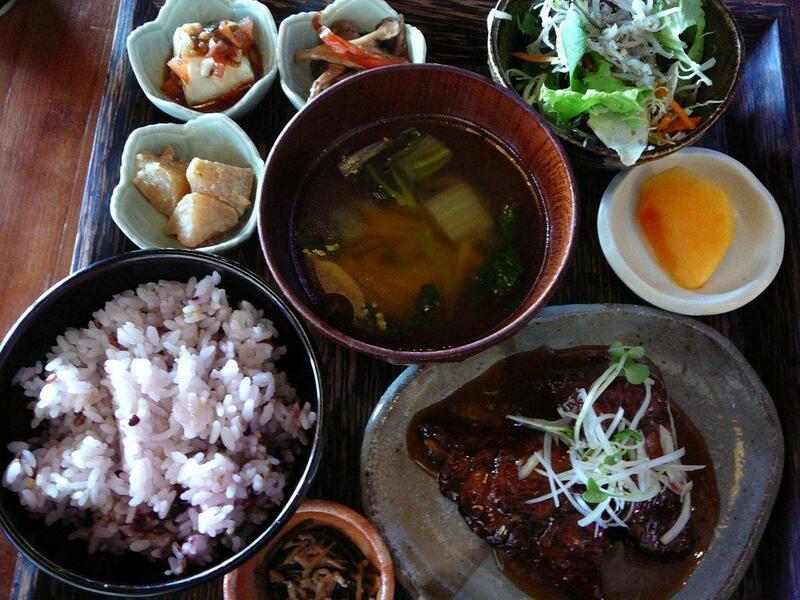 food in the city of Kamakura. For lunch you can choose among trays of organic food containing only vegetables, or a combination of the same and meat or fish. They will make sure not to include any dairy products, egg or mayonnaise for vegans upon request. 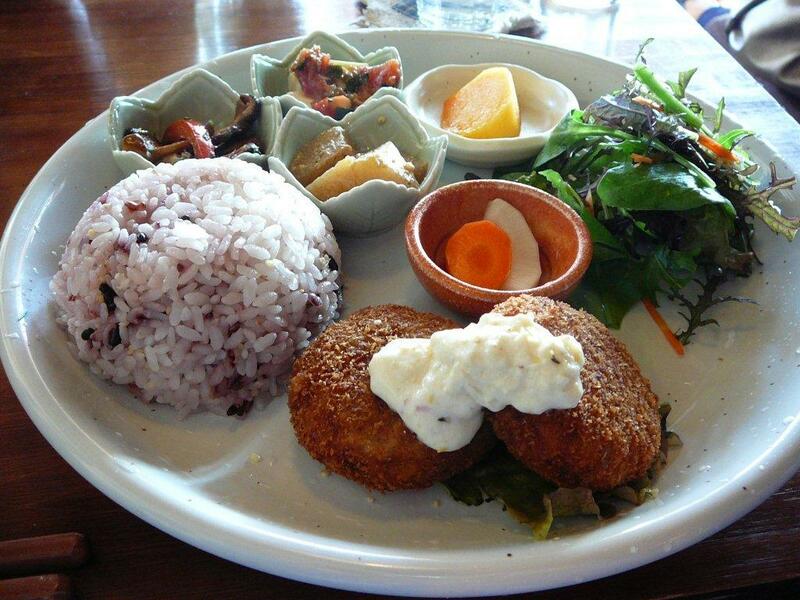 Vegetarians and omnivores will want to sample the restaurant organic creations featuring pizzas, curry dishes, macrobiotic cakes, organic coffees and teas, hemp beer according to the seasons and times of the year. Keep in mind you might have to wait as it is extremely popular! In the afternoon it will be easier to enjoy the sea view from their bay window counter seats or relax surrounded by a décor all of wood, painted walls and charming artistic bric-a-brac, the more for it as the whole establishment is non-smoking! Live music and events are organized in the evenings (also in daytime occasionally), including Colour Therapy Sessions. Matcha/抹茶, an ingredient readily available here in Shizuoka, opens the door to so many ideas as it can included in almost all cakes. Moreover its green colour is an extra attraction that is difficult to resist! Here is the recipe of a cake that marries western and eastern traditions! Separate the whites and yolks of the eggs, beat the yolks until thick and lemon colored, add the sugar gradually. Mix matcha powder and sifted flour. Mix in butter by hand (with the tips of your fingers). Add egg yolks and sugar and mix well. Cut and fold in the stiffly beaten egg white. Bake in an ungreased pan in a very moderate oven. Bake until the cake is puffed, has lost its shine, and springs back when gently pressed. Let cool completely and trim off to shape of the cake mold. Line the cake mold with a layer of sponge cake. Soften jelly in cold water or dissolve it depending on type. Whisk the the egg whites thick and hard with sugar. Bring the milk and fresh cream to boil. Add matcha powder and matcha liqueur and mix well. Let cool completely. Add and mix in gelatin. Pour the bavarois over the sponge cake and leave in refrigerator overnight. Soften gelatin or dissolve in a little water. In a pan pour in water, matcha powder, sugar and heat to dissolve sugar. Switch off fire and add gelatin. Mix weel. Wait until it has cooled off completely. Take cake out of refigeraor and pour jelly all over. Put back in refrigerator and leave it until it has properly settled. Decorate further with chestnuts, candied mint leaves and black beans. That is how it would look once cut. The same as an individual cake! Tofu and Matcha tea are considered for good reasons as health food here in Japan. They can also be combinedinto a very European/American style cake: Muffins! -Melt butter inside microwave oven. -Drop all ingredients inside a food processor and process until you obtain a smooth mixture. -Fill muffin cups with mixture up to nine tenths height. If you don’t eat them at once, wrap them in cellophane paper and leave inside refrigerator or in a very dry box. Matcha tea, or refined tea powder is quickly becoming popular all over the world. Now, you don’t have to go all the way to Japan to find some if you live in the States! Just the excellent resource website in Los Angeles called Matcha Source! -Eggs must be at room temperature. Take them out of the fridge and leave them to attain room temperature if necessary. Mix flour, almond powder, matcha and baking powder in a bowl. Melt butter in microwave oven for a minute. -In another bowl, beta eggs. Add sugar, honey. Mix well with an electric whisker. -Progressively add flour mixture and mix well. Once all the flour has been mixed, add melted butter little by little and mix well. -Cover inside of an oven dish with baking paper. Pour the cake mixture in. Add the beans in parrallel rows. Bake for 20 minutes at 170 degrees Celsius. -Once cooked, take out the cake together with the baking paper. Once completely cooled down, cut and serve. I found a whole series of desserts in my old notes! Blueberries are still in season. French Dessert: Creme brulee aux Myrtilles/Blueberries Creme Brulee! -Pre-heat oven to 150 dgrees Celsius with a large deep oven plate filled with water up to a third of its depth. -Make a cut along the vanilla pod and mix the inside with the milk in a deep pan. Bring slowly to boil. -Beat the egg yolk and white sugar together in a separate bowl. -Add the fresh cream. Mix. Add the vanilla milk and mix. -Place the blueberries inside dessert dishes. Cover with the hot cream. Place the dishes in the bain-marie and cook for 20 minutes inside oven. -Last and just before eating, sprinkle each dish with brown sugar and caramelize the cream under the grill. If you wish to taste it with wine, a sparkling white wine would be great! Meringue, especially with tarts is almost a must in French patisserie. It is not as diificult as it sounds. A little method is all you need. Orange & Lemon Meringue Tart! -Prepare the pate sable as indicated below. If you make a lot, you can freeze whatever is left. In France it can be bought at cake shops. -Lightly butter and flour the tart molds. -Spread the pastry and lay in the molds. Make a few holes with a fork and let rest 1 hour inside the fridge. Wash the lemons with clean cold water. Finely grate their skins onto a small plate. -in a pan bring the orange juice, grated lemon skins, sugar and butter to a boil. -Take off fire, and mix in the eggs, one at a time, energically beating them all the time. When all eggs are completely mixed, put back on fire and heat until it starts boiling. Take off fire and let cool completely. -Lay a piece of cooking paper over the pastry in the molds. Fill it with dry beans (or cooking beads). Bake for 5 minutes. 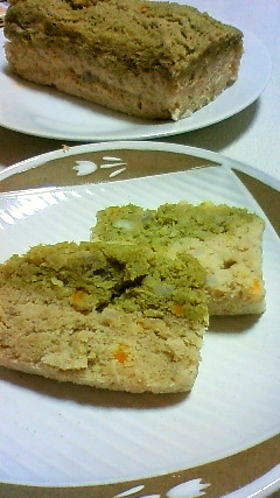 Take out beans and paper and cook again until you are satisfied with the colour of the pastry. Let cool. -Beat the egg whitesadding the sugar progressively until they “stand”. -Pour orange and lemon custard into tarts. Then decorate top with a good part of meringue. -Sprinkle with ice sugar and bake for 3 minutes at 210 degrees Celsius. In a large bowl, mix the flour with the sugar, vanilla sugar, cinnamon and salt. Add the butter in small pieces and knead with your finger tips until you obtain an homogeneous sable pastry. Beat the egg yolk with the milk and mix quickly to the pastry to “link” it.